Whisky connoisseurs, it’s time to work your connections because The Macallan has unveiled a limited edition single malt whisky. Only 250 individually numbered bottles will be released worldwide with around 35 bottles making their way to Asia. Laid down on November 13, 1965—coincidentally, the year Singapore gained independence and the year of the United States’ Voting Rights Act—this remarkably rare single malt was matured for 52 years in a first-fill European oak ex-Sherry cask from Spain, resulting in a beautiful ruby mahogany colour. Bottled at 48 per cent abv (alcohol by volume), the spirit is complex in flavour, containing notes of rich fruit and dark chocolate fondant, followed by hints of peat smoke combined with cinnamon and ginger from the wood spices. This, however, isn’t the oldest scotch the whisky-maker has released. Last year, a 60-year-old whisky, bottled in 1926 sold for US$1.2 million at a Sotheby’s auction, and fans are holding their breaths for the release of its oldest bottling in its history, The Macallan 72 Years Old in Lalique, The Genesis Decanter. It was announced last year and will be going at the price of US$65,000. 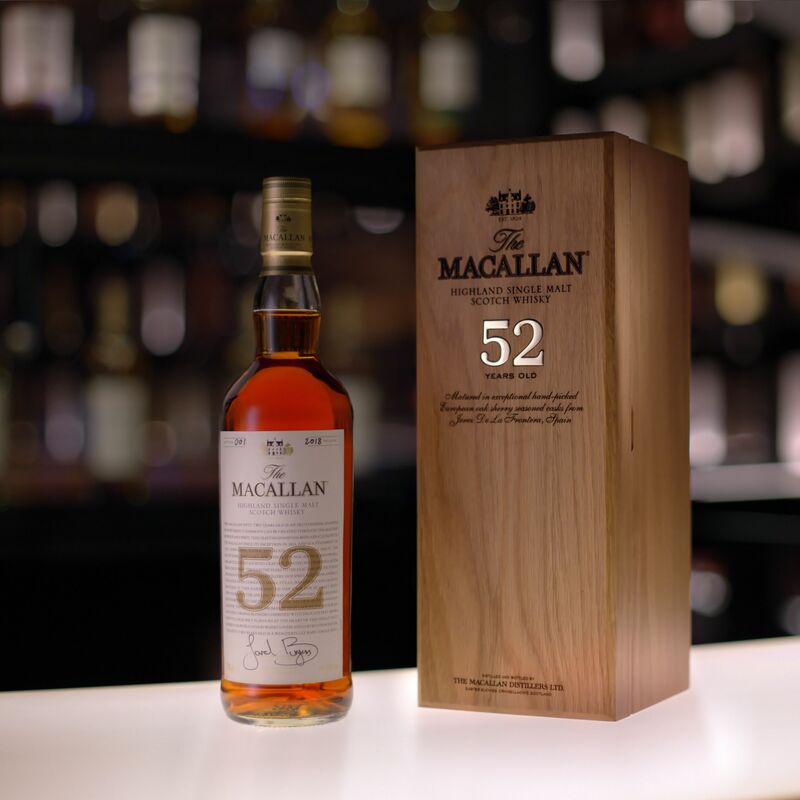 According to The Macallan whisky maker Sarah Burgess, "The Macallan 52 years old is an outstanding addition to our expanding range of unique, classic-aged whiskies and is a testament to the harmony created through the mastery of wood and spirit". “This is a highly limited and expertly crafted release which will be desired by the world's whisky lovers and luxury connoisseurs,” she adds. Each bottle—hand-signed by Burgess—features an etched face inlaid with a matte gold badged age statement and comes in a luxurious solid oak box. They will retail at US$50,000 each.